Fourteen hours and 20 minutes is a long time to be on a plane. Good thing Emirates Airlines’ planes, now flying from Fort Lauderdale to Dubai, have lie-flat beds, gourmet food and 2,500 channels of entertainment to choose from. The Dubai-based airline made its first transatlantic voyage from Dubai to Fort Lauderdale-Hollywood International Airport Thursday morning, touching down in Fort Lauderdale just after 11 a.m. The flight signaled the beginning of South Florida’s first daily nonstop service to Dubai. Daily flights will leave FLL at 8:20 p.m. and arrive in Dubai at 7:40 p.m. the following day. 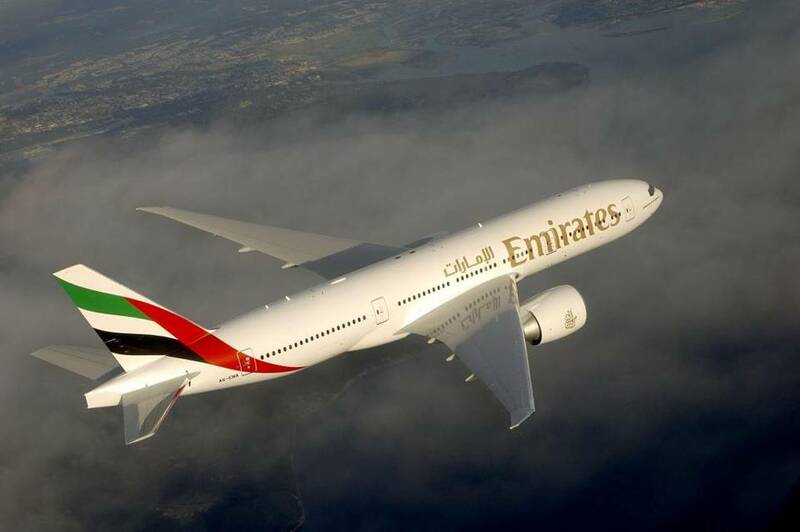 The new route will be Emirates’ 11th in the U.S.
Strong performance on its Dubai-Orlando service, which the airline launched last year, encouraged Emirates to start offering flights to Fort Lauderdale, Emirates president Tim Clark said in a press release.